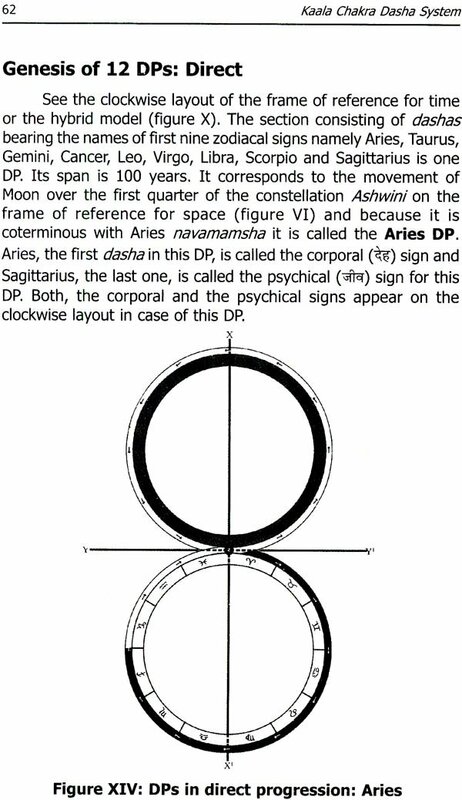 Directional systems constitute a very important part of natal astrology. Generally these are used to determine the probable time of occurrence of various events in the lives of individuals. Their true purpose is to assist people in planning and organizing their lives. In Vedic-astrology there exist a large number of directional systems, mostly known as Dasha Paddhatis, suited to different birth conditions and different purposes. 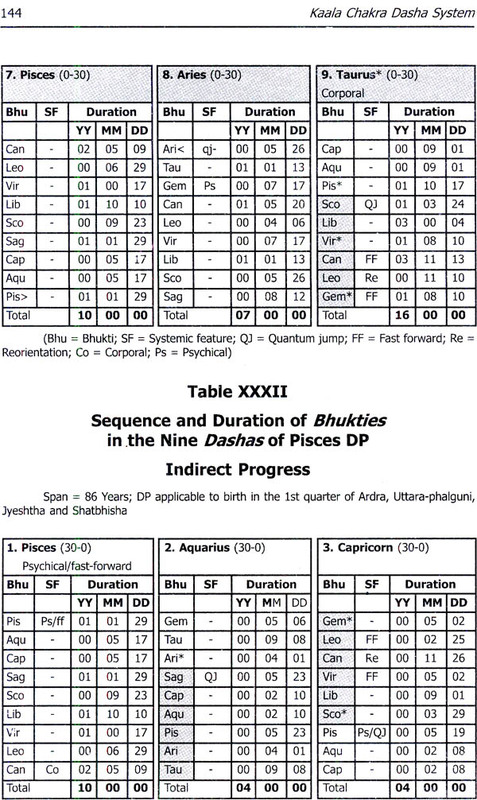 The Dasha systems as propounded by Maharshi Parashar in his famous treatise VPHS, broadly fall into two main categories: the nakshatra dharika or the constellation based dasha systems and the rashi or the zodiacal-sign based dasha systems. Besides, there are some lesser known systems like kaala dasha, chakra dasha, sandhya dasha, pachaka dasha, tara dasha, panchaswara dasha etc. which do not fall in either of these categories and may be based, at least in parts, even on non-astrological and may be based, at least in parts, even on non-astrological considerations. According to him some systems are applicable to all nativities while others can be used in the case of such nativities only as satisfy certain specific conditions. It is also claimed that some systems can be used for predicting events in all sectors of life and are known as phalit dashas while some are specifically suited for predicting the death of the native or his/her near and dear ones and are known as ayurdashas. According to Pandit Gopesh Kumar Ojha’s commentary, verse 12, chapter 12 of JDM, if the birth takes place at a time when lord of the constellation occupied by the Moon aspects or joins it (the Moon), KCD gives better results. The operative part of verse 40 of chapter 18 of JP is same as the above verse. Here Pandit Ojha has translated it somewhat differently. He says that when the lord of the navamamsha of the constellation occupied by the Moon aspects or conjoins it, KCD gives better results. Now, the meaning of the expression navamamsha of the constellation is not clear and therefore it is difficult to apply this rule. According to PD verse 30 of chapter 22, (Pandit Gopesh Kumar Ojha’s commentary again) KCD should be used when the lord of the navamamsha occupied by Moon is strong. It should be mentioned here that this verse is located in this chapter with a group of such verses as contain advice about the applicability of various dasha systems for determining longevity. It need not be pointed out that the entire matter is mixed up. 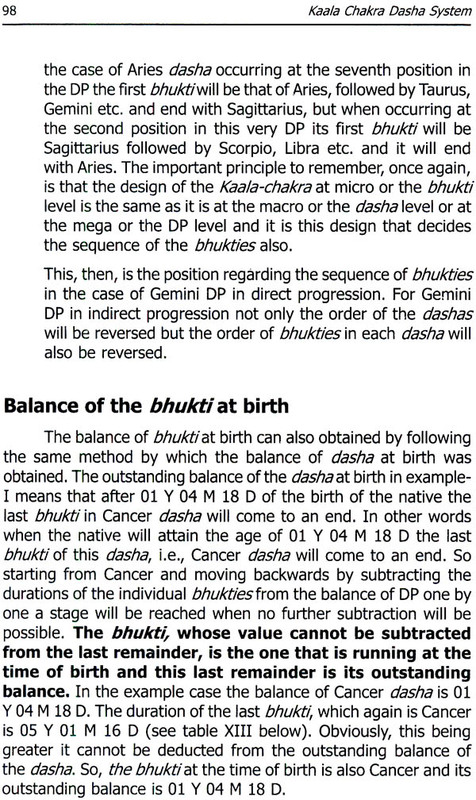 I have also read somewhere that in cases where Moon occupies a navamamsha ruled by Venus or Venus is otherwise strong in the horoscope KCD should be used for determining longevity. 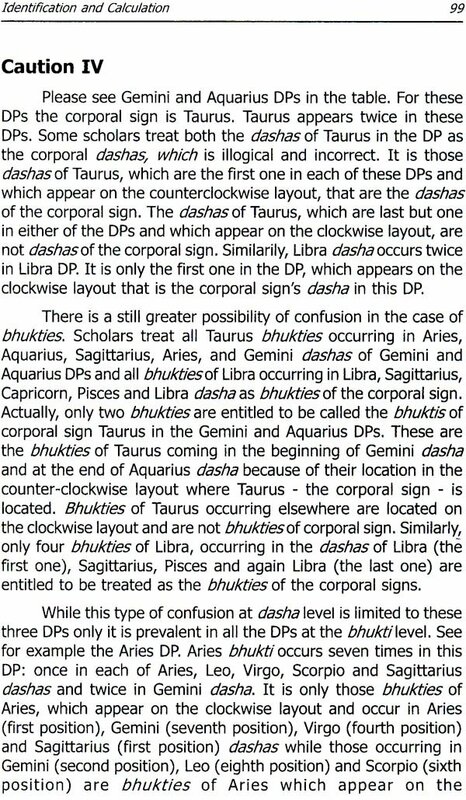 However, VPHS verse 6 of chapter 46 is very clear that Kaala chakra dasha system is the best amongst all systems and verse 34 of the section devoted to KCD in this very chapter asserts that KCD should be used not only in natal astrology but also in horary astrology. Besides, my own experience with this system, for past two decades, is that it is not only universally applicable but that it is the most efficacious directional system in Vedic astrology. 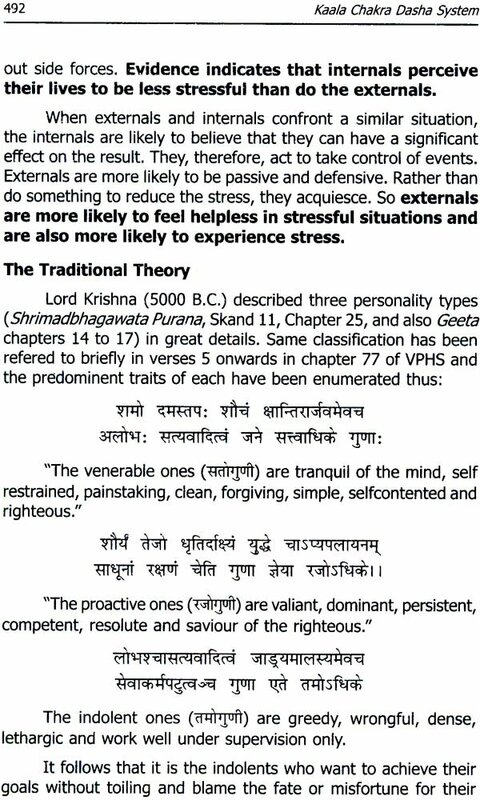 It has been dealt with in classical textbooks like Vrihat Parashar Hora Shastra, Jataka Parijata, Phala Deepika and Jatakadesha Marga. VPHS and JP have explained this system in greater detail than the other texts-books, which contain comparatively condensed versions. VPHS declares that KCD is the best amongst all the systems (Verse 06 Ch 46 Dashaadhyaya). It also advises that KCD should be used not only in natal astrology but also in horary astrology (Verse 34 of the section devoted to KCD in this very chapter) but the sad fact remains that in practice KCD is not playing even second fiddle to Vimshottary. Today, the rank and file of astrologers do not even know the name KCD. Many confuse it with the unnecessarily dreaded Kaala Sarpa Yoga of dubious authenticity. Some consider it to be an ayurdasha only and doubt its usefulness as a phalit dasha. Very few astrologers know that such a system exists at all. 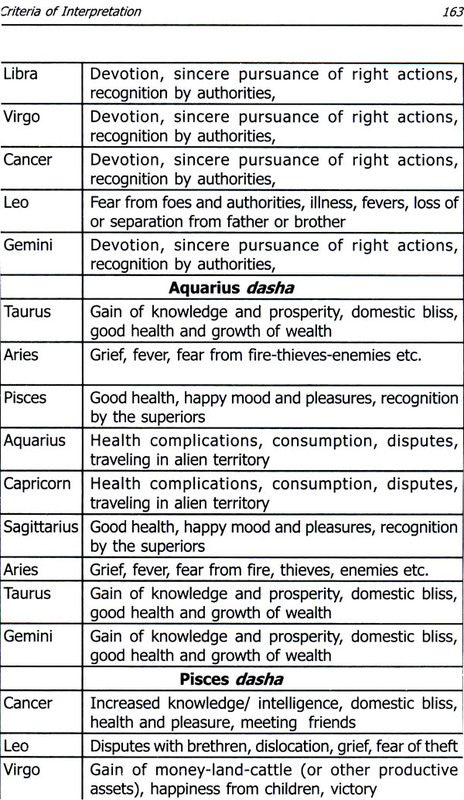 Although, today the market is flooded with books on natal astrology written by a multitude of contemporary authors, the names of author who have written any thing about this system can be counted on fingertips. Some astrologers claim that they made correct predictions on the basis of KCD in one or two cases but during past 50 years I did not find a single astrologer who even occasionally made any prediction on the basis of this system exclusively. I became interested in KCD system sometimes in 1990 and was studying, investigating and testing this system since then but it was only around 1995 that I discovered the correct method. After using this method on the horoscopes of persons whom I knew intimately I became convinced that this was a unique system which surpassed all others in Vedic astrology. I also found that the system was thrown into disuse because the method of calculation and computation as explained in various translations/commentaries of the classical texts was not in accordance with the actual method given in the classical texts and also that the method given in the books written by contemporary authorities too was incorrect. Therefore, astrologers who followed such methods were unable to make correct predictions consistently on the basis of this system. 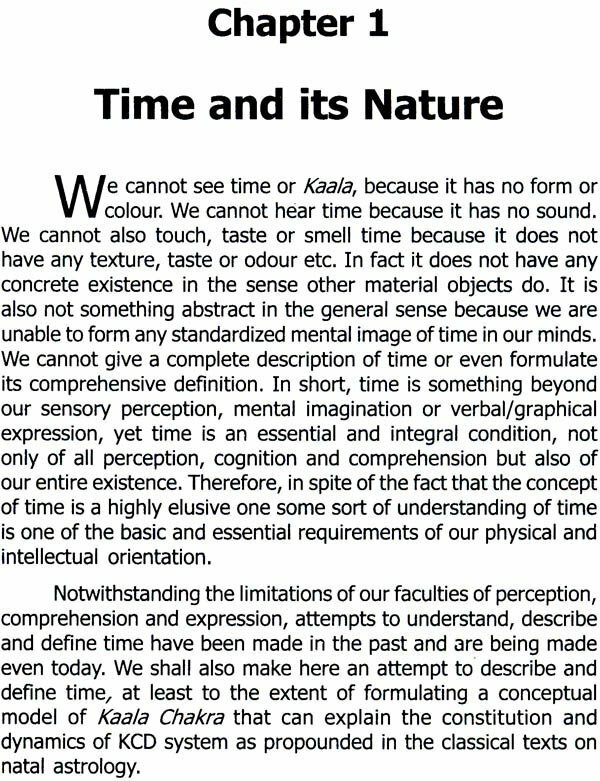 I wrote a series of articles during 2001-03 for a Hindi magazine published from Jaipur explaining the classical method of calculation and computation, pointing out therein the mistakes in the methods recommended by translators, commentators and contemporary authors. I also proposed in this series a conceptual model of Kaala Chakra to demonstrate the mechanism of this system for the first time and explained/proved on its basis the correct method as propounded in the classical texts. I illustrated this series with the horoscope of Late Shrimati Indira Gandhi and demonstrated that all the events of her life were shown very clearly if the dasha was calculated and computed in the manner explained by me. Justice S.N. Kapoor, National President, Indian Council of Astrological Sciences (ICAS), read my articles. The judicaturist’s astute mind immediately appreciated the tremendous opportunities hidden in the system. He took a keen interest in my work on this system and asked me to make a detailed presentation on KCD at a Faculty Development Program of ICAS, organized by him at Delhi in June 2002, which was attended by the faculty members of ICAS from all over the country. It is a matter of common knowledge that the most popular dasha system is the Vimshottary dasha system. In fact it was probably the only system used in north India, with the exception of the Himalayan tract where Yogini was also in vogue, till the publication of Shri K.N. 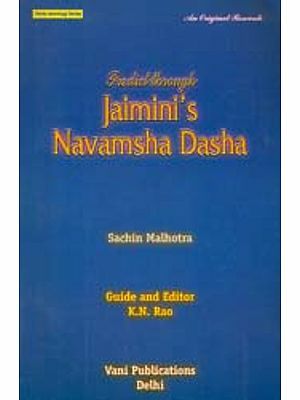 Rao’s “Predicting through Jaimini’s Char Dasha” in 1995. 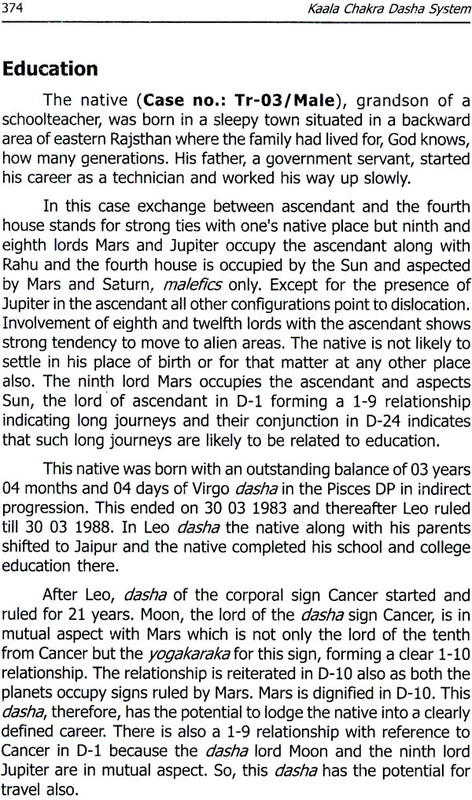 Even today, open any book on Vedic astrology and you will come across Vimshottary Dasha. It does not make any difference whether the book is a classical text or one written by a modern author. 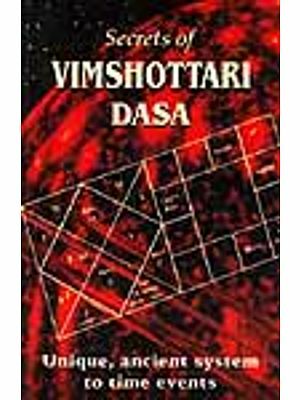 Very few books deal with dasha systems other than Vimshottary. Even VPHS has given maximum space to this system. In common practice, the word ‘dasha’ has become synonymous with Vimshottary. 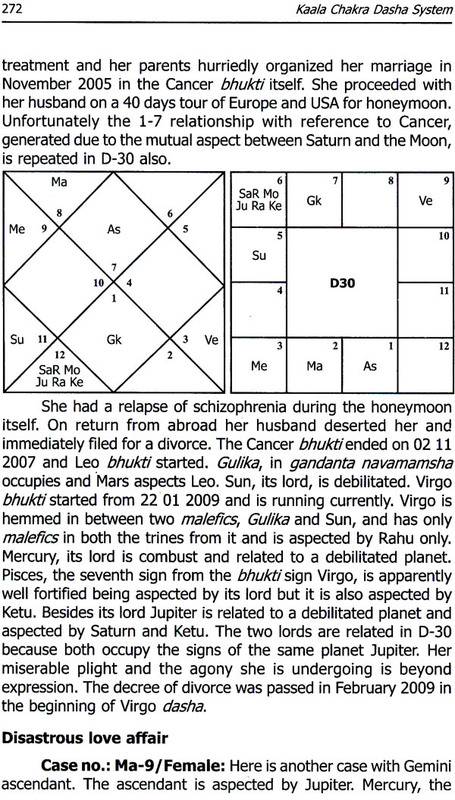 Even non-astrologers can be heard saying that they are under stress because Saturn or Rahu dasha is running and by ‘dasha’ they mean Vimsottary only. Vimshottary is believed to be easy to calculate and compute, which it really is up to a certain point only. It is also believed to be simple to interpret, which it certainly is not. Since his retirement from the post of Director, Forestry Training Institute, Jaipur, Rajasthan, India on 31 January 1995 Shri Shakti Mohan Singh has provided services to several national and international organizations as a freelance environmental protection and land resource development consultant. Natal Astrology has been his passion since 1951 and he taught astrology at The Indian Council of Astrological Sciences (Regd. Chennai), Jaipur Chapter for 10 years. He also occupied the position of the Vice President of Indian Council of Astrological Sciences, Jaipur Chapter for several terms. Now he runs "Skill up- gradation program in natal astrology" for serious students of astrology at Jaipur. 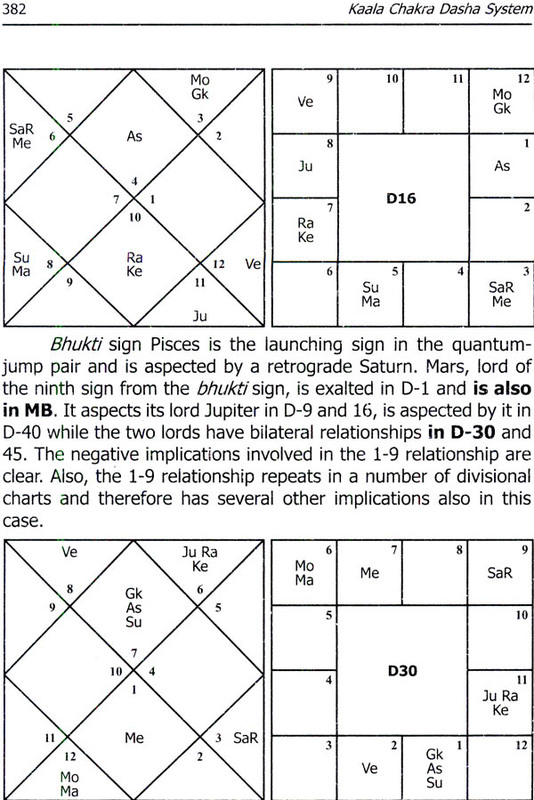 He has written more than 100 articles covering various aspects of natal astrology. He also wrote a book titled "Jaimini Sutram - Ek Abhinava Drishti", published in the year 2000. The present work, the first of its kind, is the result of his intensive research on the KCD system over a period of about two decades and settles several contentious issues related to this system.